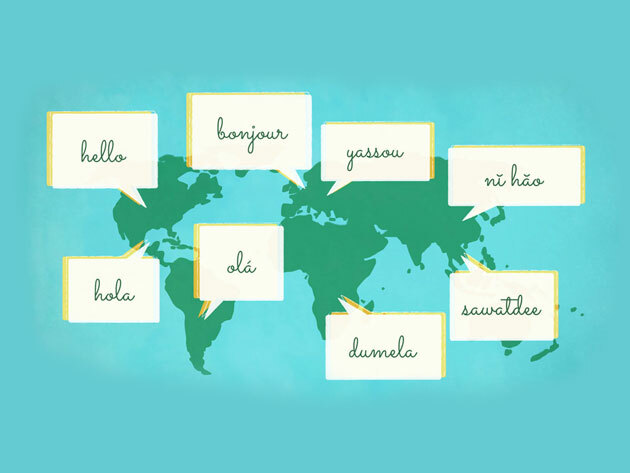 How many times have you said you want to learn a new language … yet your foreign language vocabulary boils down to translation for “Where is the bathroom, please?” Don’t worry, we’ve got you—with your pick of six courses and apps that make learning a new language easier. Learn Spanish, French, Arabic, Chinese, Esperanto, English, Russian, Italian, Japanese, German, Irish, Portuguese, American Sign Language & more. uTalk Language Education: Lifetime Subscription: Learn new languages from A (Afrikaans) to Z (Zulu), and 138 more in between. uTalk teaches you real, practical vocabulary you’ll actually use in real-world situations, help you verify your learning with fun speaking games, and lets you get started and pick up from where you left off on almost any device. Get it for $19.99, a savings of 76%. Mondly: Lifetime Subscription: Chose from 33 languages to learn with Mondly’s fun system—using speech recognition, it’ll listen to your words and phrases and give you positive feedback when you speak clearly and correctly. You’ll learn core words, pronunciation, and more from this App Store and Google Play top pick. Get it for $59, a savings of 95%. 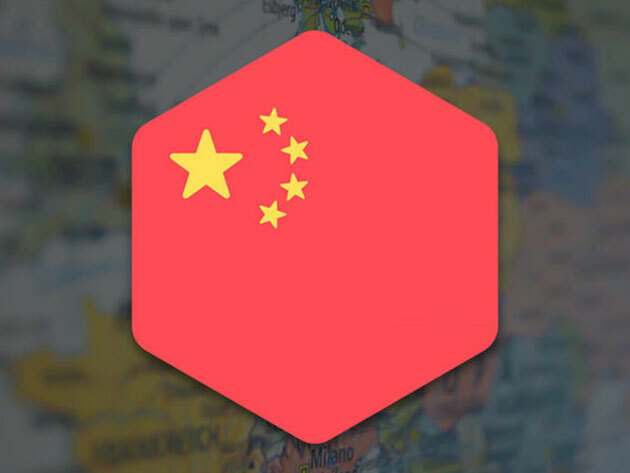 Rocket Chinese Language Learning: Level 1: Learn Chinese (or German, Italian, or Japanese) in just minutes a day with this course featured in The Daily Dot, Mashable & The Guardian. Using interactive audio lessons, reinforcement activities, and a state-of-the-art voice recognition system, you’ll learn the language and perfect your pronunciation. Get it for $59.99, a savings of 59%. Become Fluent in Any Language with Gabriel Wyner: Become fluent in months when you master the four stages of language acquisition with this course: understanding correct pronunciation, building vocabulary and grammar skills, reading and listening effectively, and conversing with native speakers. Ten bucks get you lifetime access to 31 lectures. Get it for $9.99, a savings of 79%. 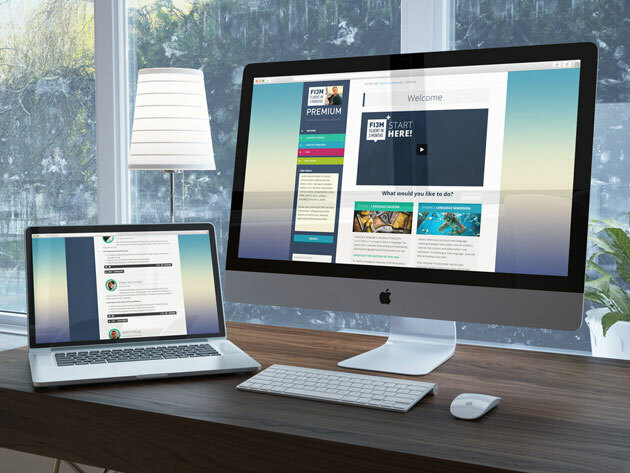 Fluent in 3 Months Premium Language Learning: Lifetime Subscription: Featured in the New York Times, National Geographic, BBC, and Forbes, this eight-video course turns world-famous polyglot Benny Lewis’ hacks for language learning into easy-to-follow steps for you. Whether you’re new to language learning or just want to improve your accent, there’s plenty here that’ll get you speaking confidently fast. Get it for $29, a savings of 70%. Earworms MBT Language Learning Bundle Vol. 1-3: Make learning Spanish way more fun — with music! Access this training on your PC, iPad, iPhone, Android, or MP3 player. You’ll listen to music filled with rhythmic repetitions, subconsciously picking up new verbs, nouns, and connecting words until you can hold a conversation. Get it for $14.99, a savings of 50%.